Let's say you're a great violinist in the early 1700s. The repertoire is getting old and is really holding you back (typical). So what do you do to make a huge leap in musicality? You could jot some notes down as you're noodling around on your fiddle or.... you could go to sleep and wait for the Devil to come visit you. Giuseppe Tartini went the sleep/meet with the Devil route. The story goes that he had a dream one night in 1713. The Devil came to visit him, met him at the crossroads, and taught him all sorts of blues guitar riffs..... Wait, no that's Robert Johnson! Tartini had a similar experience a few hundred years earlier (I'm sensing a theme). When Giuseppe woke up, he tried to play what the devil had played on his violin but couldn't reach that height. He persevered, and out came his Devil's Trill Sonata. A few years later, Tartini acquired a beautiful Stradivarius violin that was capable of bringing out all the nuances of the Devil's Trill Sonata. 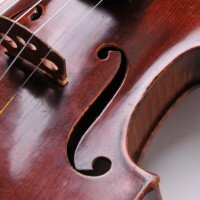 That violin, made in 1715, now carries the name of the 'Lipinski' Stradivarius. This is one of my favorite violins, probably made from the same wood and in the same year as the Stradivarius violin that I have had the most opportunity to study, the Hochstein Stradivarius. Karol Lipinski was a great Polish violinist, possibly on par with Paganini. Lipinski and Paganini played concerts together in 1818. Paganini dedicated "Burlesque Variations on 'La Carnaval de Venise" to Lipinski. In 1827 Lipinski returned the favor, dedicating "Three Caprices for Violin" to Paganini. After Lipinski's death in 1861, this Stradivarius violin came into the possession of the Roentgen family, a family of famous and dedicated professional musicians originally from Leipzig, Germany. From the Roentgen's, the violin bounced around through several hands before ending up as the partner of the very talented and beautiful Estonian violinist Evi Liivak. Liivak was born in Viljandi, Estonia in 1924. From the early 1950s on, Evi lived in New York City with her husband and duet partner pianist Richard Anschuetz. Richard's mother, Rosalind Elsner Anschuetz, is the one that gave the 'Lipinski' Stradivarius to Evi. Evi played on the 'Lipinski' until her death in 1996. The 'Lipinski' Stradivarius was acquired some time after 1996 by a wealthy family with very strong ties to the Milwaukee, Wisconsin area. Since 2008, the 'Lipinski' has been played by Frank Almond, a violin soloist and the Concertmaster of the Milwaukee Symphony Orchestra. And a few days ago, this partnership took a sad turn. Mr. Almond had just finished a concert on a college campus when thieves assaulted him and took his violin case with the 'Lipinski' inside. Frank Almond has a wonderful website, started long before this incident, documenting the history of the instrument and playing some of the pieces mentioned above. If you have any information on the whereabouts of the Lipinski Stradivarius, go there, as it has the numbers to call. And if you know where the 'Lipinski' is, there's a $100,000 for its safe return. That's probably more than you can make on a stolen Stradivarius. MILWAUKEE (January 31, 2014) – The Milwaukee Police Department continues to investigate the theft of the 1715 Stradivarius violin, which occurred on Monday, January 27, 2014, around 10:20 PM during an armed robbery of Frank Almond following a concert at the Wisconsin Lutheran College. A $100,000 reward will be offered to anyone who can provide information which results in the safe return of the stolen Lipinski Stradivarius. Tips or leads can be directed to the Milwaukee Police Department at (414) 935-7360, or to the MSO at (414) 226-7838. “As the Milwaukee Police Department continues its expansive investigation into this crime, we welcome the assistance that the reward announced today is sure to provide,” Milwaukee Police Chief Edward Flynn said. 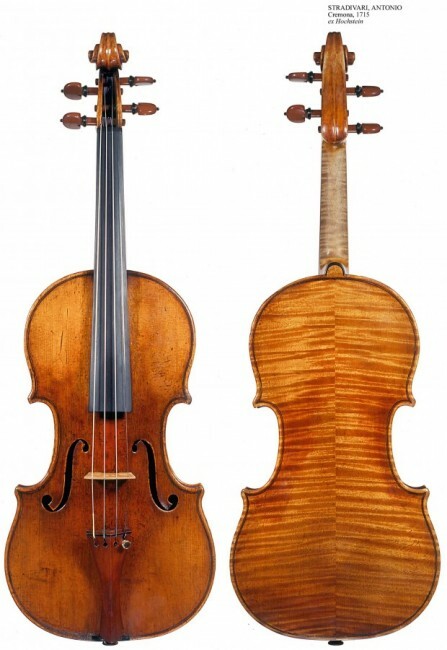 The Lipinski Stradivarius has been on indefinite loan to Almond from an anonymous owner, and was secured according to industry standard at the time of the robbery. Further information regarding this investigation will be announced as it becomes available. "Ranked among the top orchestras in the country, the MSO is the largest cultural institution in Wisconsin. Since its inception in 1959, the orchestra has received critical acclaim for artistic excellence. The orchestra’s full-time professional musicians perform more than 135 concerts each season. A cornerstone organization in Milwaukee’s arts community, the MSO provides enrichment and education activities for audiences of every age, economic status, and background."